It's been an absolute pleasure immersing myself in Sara's world once again. I fell in love with her writing a few years ago when THE FORGOTTEN GIRLS was first published in the US, and have since enjoyed every moment I've spent with the endearing characters and engrossing investigations that she writes. THE KILLING FOREST is no exception: this book is a fast-paced police procedural guaranteed to inspire a major amount of emotional investment, a quality that is characteristic of Sara's writing and that makes me love her books oh so much. Simply put, Sara writes excellent crime fiction. In THE KILLING FOREST, we find Sara's leading lady, police officer Louise Rick, returning to work after taking time off to recover from the trauma of her last case - the case central to THE FORGOTTEN GIRLS. On Louise's first day back, a call comes in—a boy has disappeared, and there's something suspicious about the case: his family doesn't seem to care about his whereabouts; in fact, they seem happy he's gone. 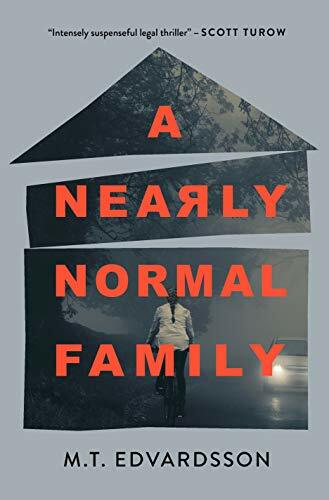 Louise and her partner Eik are on the case, and the investigation quickly grows darker, with the officers uncovering sinister connections between the boy's disappearance, a local religious sect, and a number of murders from the past. This story builds to a shocking conclusion that literally left me in tears by the last page—trust me, it's not one to be missed. I love Sara's stories for two very different yet equally important reasons. First, I love the realism with which Sara describes a police investigation. In my recent Q&A with Sara (which you can read here), Sara described the lengths that she goes to when researching a new novel. I was so thoroughly impressed with the extent of Sara's research, and it definitely shows when you're reading her books. The investigations Sara describes are always methodical and precise, but Sara also always acknowledges the humanity of her characters, showing police officers as not only professionals, but as humans as well. This is the second quality of Sara's writing that I love: she writes very relatable, very human characters. Her police officers aren't only officers of the law - they're also real people, with families and loved ones to protect, personal conflicts to resolve, and pasts that haunt them in their daily work. Sara's main character Louise also has a burgeoning love life that makes for some seriously fun reading! The story doesn't focus on Louise's personal life too heavily, but I loved the interspersed moments of sweetness between Louise and her love interest. It reinforces Louise as a very human character, and provides welcome moments of reprieve from the darkness that surrounds Louise in her work. I will never tire of Sara's writing. Her books are a must-read for fans of Scandinavian crime fiction, or of crime fiction in general! If you love authors like Camilla Läckberg and Åsa Larsson, you will love Blaedel's Louise Rick series. I recommend starting with THE FORGOTTEN GIRLS so you can get the background information necessary to understand THE KILLING FOREST - but if you choose to jump right in with THE KILLING FOREST, I'm always happy to answer background info questions you might have. A huge thank you to Grand Central Publishing for providing me with a copy of this book! For more information on Sara, check out my Q&A with her here.